I was speaking with my Lithuanian friend who told me that he and his friend read my posts about my mum, and that it was unusual a child has so much love for a parent, expressing it in the way I do. My friend is a good guy, who said my writing brought him warmth because many children do not write or speak of a parent the way I do. It was because of his comments that I began thinking about the relationship between a child and his/her parent(s), reflecting on my upbringing. I remember as mum drew her last breath in Liverpool, I knew I would never again have that unconditional love she gave me. That only a mother, or father, can give. My siblings and I were raised single-handily by our mum, so my experiences and memories of parenting are solely of my mum. Many have asked me over the years what has it been like not having a father around, the truth be known, I’ve never gone without. Equally, I was not alone in this experience. My ten siblings and I share the same story, although it’s important I only tell mine. Mum had a different relationship with each of her ten children, and it’s not for me to try and second-quess these. That said, I know my brothers and sisters miss our mum as much as I do in their own way. I’m just much more vocal about expressing my love for her. It doesn’t make my love any more important, or theirs any less. As I sit here now without either a mum or dad around, I’ve never felt cheated by life. I know how lucky I am and have been, blessed in fact, to have been loved by a woman whom I adore. To me, mum was often the equivalent of ten parents with her love and that is why I write and speak so fondly of her. I cannot think of a single time an ill-word about her has passed my lips. 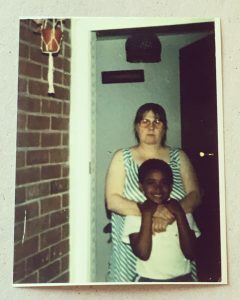 She was my teacher of life and I am the man I am because of her, her love and nurturing of me. But I know not everyone has been this fortunate, and I say this even after cancer has taken mum away from my ten siblings and I. Unlike some of my friends, I’ve never been around the divorce of parents which can leave a bitter taste in the mouth of their children. Simply because, we only had a mum raising us in inner-city Liverpool. I spoke with my London friend earlier and she too, like my Lithuanian friend, commented that the majority of her friends probably disliked their parents than liked. It’s this I find unusual, because it’s not my lived experience. Like some find my love for my mother. Life is not a competition of who loves their parents more or less, and I guess all we can do is share our experiences of our relationships for better understanding of how the other half lives. I’m a black gay man who was raised by a white woman and I like sharing this with others because I’ve always been around difference, which has been a good thing for me and my development in life. The next day she closed her eyes for the last time, surrounded by her children, never to wake again. Mum’s life was cut short by cancer, but I say it often that my siblings and I try to remember that she had lived a good and rich life. Although she was only 67 years old when she died, she has left a great legacy with many grandchildren and great-grandchildren who all adore her. Just recently my beautiful niece in Liverpool wrote to me to tell how she had placed a picture of her nan along with her mum’s grandmother in a locket around her neck. As an uncle, that made me proud. Proud that my mum’s memory lives on, not only through me, but through the generations that follow her. My great nieces and nephews never had the opportunity to meet their great nan and the same will be for their children, but I’m sure they too will learn to know what a beautiful lady she was. Through me and the book I am drafting about her after I publish my first, I will never let her memory die. No person is perfect, but for me mum was not far off from being so. 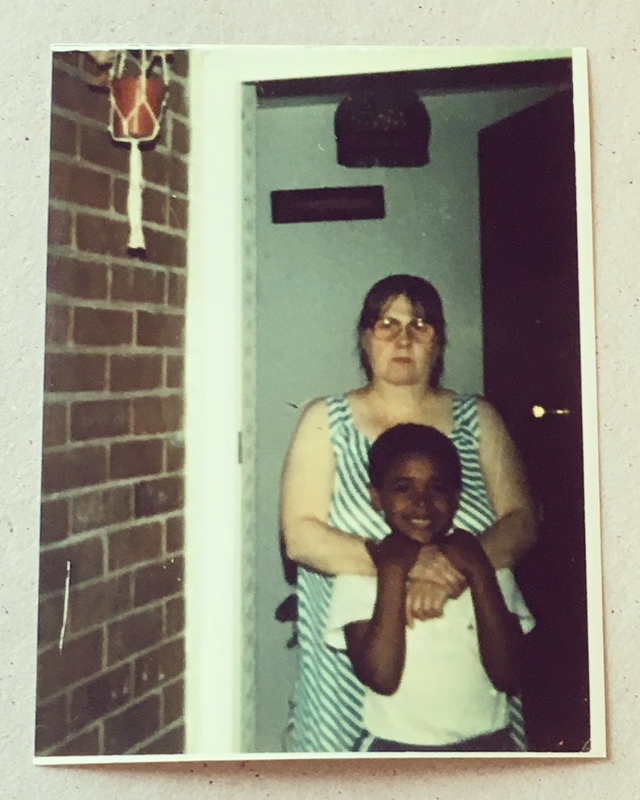 As I held her hand for the last time back when I was 26 years old, I felt a sense of finality, not only in the loss of my sole parent, but also in the loss of that love only a mother can give.